·Chocolate body wrap can lead to caffeine and polyphenols to be absorbed into the body. This can lead to the release of endorphins in the body. Endorphins are said to give the feeling of well-being and relaxation which tend to induce fat melting. ·Melanoma occurs relatively infrequently, accounting for about 3% of skin cancer cases, but it causes 75% of skin cancer deaths. So remember to wear sunblock! ·Honey is excellent for the skin; it contains vitamins and minerals essential for cell growth. It is especially known for its great moisturizing qualities. Honey on the lips makes an excellent night moisturizer. ·Dr. 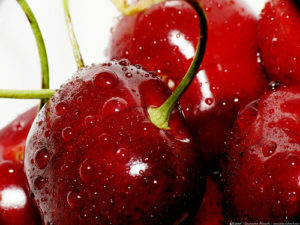 Russell J. Reiter, professor of neuroendocrinology at The University of Texan Health and Science Center conducted a five month study and found that tart cherries contain a significant amount of melatonin – a hormone that has been credited with slowing the aging process. Acerola cherry contain 65x the amount of vitamin C than an orange. ·Jojoba oil has been used by the Native Americans for hundreds of years to treat cuts, scrapes, sunburns and dried out skin. Jojoba is molecularly very close to humans own natural body oils. This makes it perfect for sensitive skin people. Green tea has been used for thousands of years by the Chinese as a health and beauty tonic; it has withstood the test of time and is now used in countless cosmetic lines. 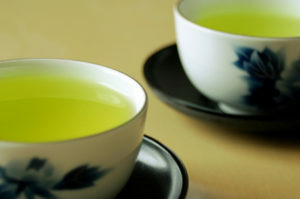 Green tea is an excellent anti oxidant, anti inflammatory and neutralizes free radicals. ·Remember not to skip the toning step of your skin care regimen. Often times after washing the face the skins natural PH is off balance. This can leave your skin venerable to attack. ·Vitamin C is excellent for the skin, it helps repair sun damage and broken capillaries. Also helps to smooth out fine lines. Lymphatic face massage is both extremely relaxing and also helps rid the skin of toxins that may be causing a number of skin disorders. Often times when we feel puffy around the face or experience bags under our eyes it is sluggish lymphatic fluid built up in our system. 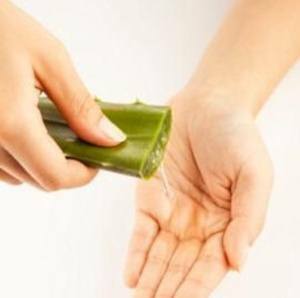 ·Egyptians used aloe vera for its various skin benefits in the past. Looks like aloe vera has passed the test of time and is still used for it’s anti inflammatory qualities, scar reducing and to help burns heal quicker. Aloe works great to cool down sun burns and help heal them faster. Just a few drops of extra virgin olive oil on a cotton pad is all it takes to gently and effectively remove eye makeup without irritating the skin around the eyes. 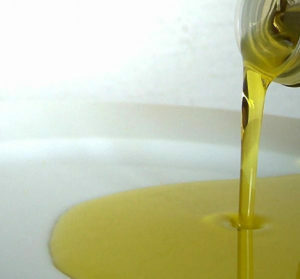 When used consistently, olive oil can soften the skin around the eyes and smooth out wrinkles. ·Don’t have a lot of money to spend on a facial? Try looking in your kitchen for healthy ingredients to use. Eggs are high in protein, vitamins, and minerals that tighten the skin and reduce pore size. 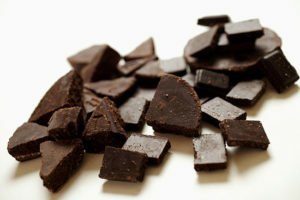 ·A piece of dark chocolate ranks as high or higher than most fruits and vegetables in terms of antioxidant content. So make dark chocolate a healthy part of your balanced diet. It’s important to eat lots of fruits and vegetable in order to get enough antioxidants to fight off the free radicals in our body. Free radicals are unstable molecules missing an electron; they steal electrons from healthy molecules. Antioxidants stop this process from happening by surrendering electrons to free radicals to help stabilize the molecules. ·Lavender is great for fighting acne. It’s soothing on inflamed skin and helps balance the production of oil. Great for sensitive skin that can’t handle more aggressive acne treatments. Sunspots are bunches of melanin or pigment that form brown spots on our skin. This is our bodies natural defense to UV rays. Wearing a good sunblock daily helps prevent sunspots from forming. Natural ingredients that will help lighten sunspots are Kojic, lactic, glycolic acids, licorice, lemon juice extract and vitamin C. Just remember when trying to lighten the skin always wear sunblock. ·Even though oranges are probably the most popular Vitamin C food, it doesn’t have the highest amount in it. Actually a small kiwi has more vitamin C than an orange. ·Nuts contain healthy fatty acids, proteins and vitamins your skin needs to look great. ·One puff of cigarette smoke creates over 1million free radicals in the body. So for you non smokers out there remember don’t start, and for the smokers just remember to eat extra food packed with antioxidants. ·Inflammation is at the basis of aging in all organ systems, including the skin. One of the reasons inflammation occurs is from a rapid rise in blood sugar, which causes changes in the cell that result in accelerated aging. When blood sugar goes up rapidly, sugar can attach itself to collagen making the skin stiff and inflexible. Losing this elastic resilience of young skin will give you deep wrinkles and make you look old. ·Stress leads to all kinds of health issues, and ages the skin. So when you feel like you’re getting caught up in all the crazy holiday energy find a nice tranquil place to breath and take it easy for a few minutes. ·The Chinese have long known that high grade pearl powder leaves your skin looking smooth and radiant like a pearl. Pearls contain important amino acids that are used to build collagen thus helping regenerate beautiful new skin cells. ·Most experts out there seem to think coffee drinking is not good for the skin. 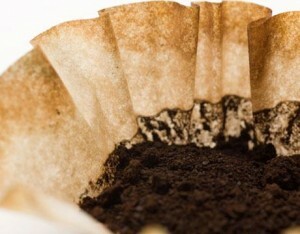 It can be very dehydrating; one little tip for those die hard coffee drinkers. Take the left over wet coffee grounds and add a little honey, yogurt or your favorite facial cleanser. 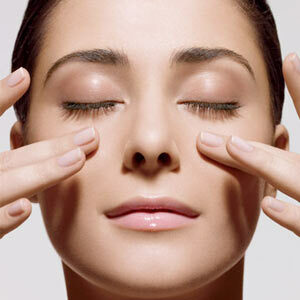 Massage your face with the mixture to get a nice exfoliation of the skin. This also leaves your skin feeling tight and smoothed out. Tips for choosing a good sunblock: pick a sunblock in the SPF15-30 range. Anything over 30 is unnecessary. Also choose a sunblock with the main components Zinc oxide and or Titanium Dioxide. These sunblocks sit on the top of your skin and reflect light rays. These ingredients are safe and can block a full spectrum of rays. ·Having a good bar soap is great for the shower but cannot replace a good face cleanser. Bar soap can be very drying to the skin, so remember to give your face a little extra treat. ·Avocados are rich in vitamins A, D, and E essential for maintaining soft healthy skin. Among the Mayans in Guatemala the avocado is considered to be a food that keeps the joints of the body moving freely and the skin young and supple. ·Extracted from the wintergreen plant Salicylic acid is excellent for breaking down oil and cleaning out blackheads. This one ingredient can be a life saver for those suffering from oily acne. 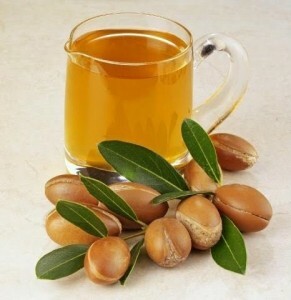 ·Argan oil is considered an effective anti-aging oil due to properties such as the high levels of vitamin E and saponins (skin-softening agents). Besides cooling and soothing inflammation, it is also known to help reduce wrinkles by restoring the skin`s hydro-lipid layer.